When I was looking for flights to Los Angeles as part of my sponsored trip with Expedia.ca recently, the cheapest flight I could find with a reasonable departure time involved a stop in Seattle. 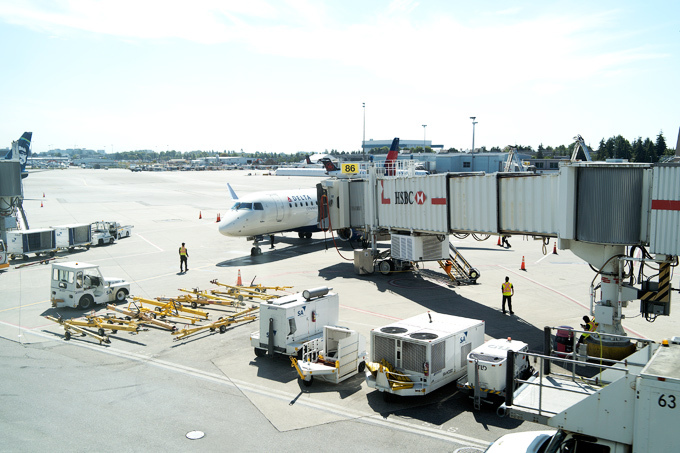 We took Delta Air Lines DL 4821 departing YVR with a scheduled departure time of 11:20 am and arrival time of 12:30 pm. Here’s a look at my experience. 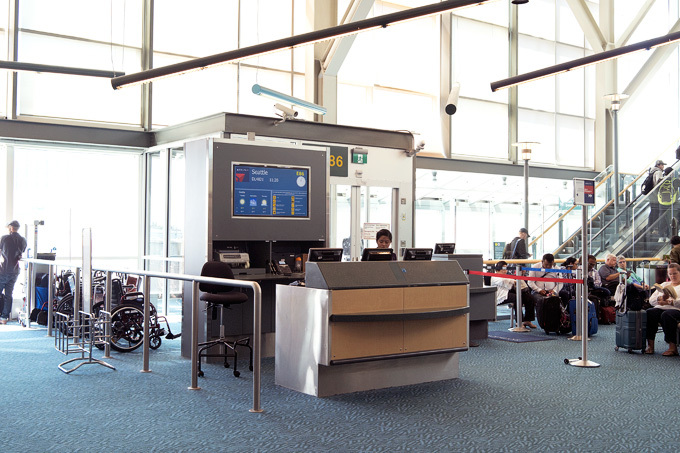 After arriving at the Delta counter at YVR, a staff helped us to check us in at their kiosk. She was super friendly (possibly the best service I’ve ever received at check-in). We checked-in two bags at a cost of $25 CDN per bag. Afterward, we weighed and dropped off our check-in luggage as well as our oversized luggage which was a car seat (no extra cost for checking in). The TSA process also went very smoothly and especially quickly as it wasn’t very busy at the time. I had some time to explore Pier E of the International terminal (see review here). Our plane was on time and the boarding process was also very smooth and well-organized. We had a stroller which we gate checked and had no issues retrieving afterwards. 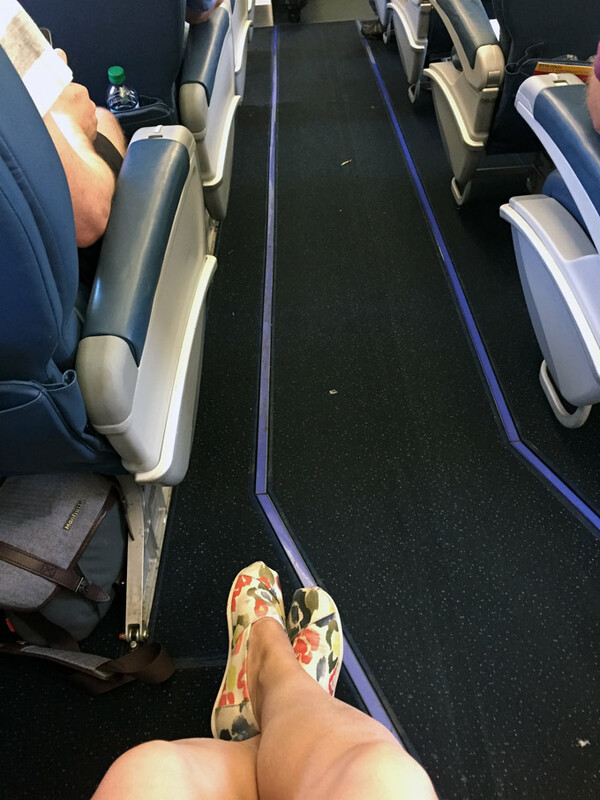 While I had purchased Economy tickets, we received an upgrade to Delta Comfort + at no extra cost. 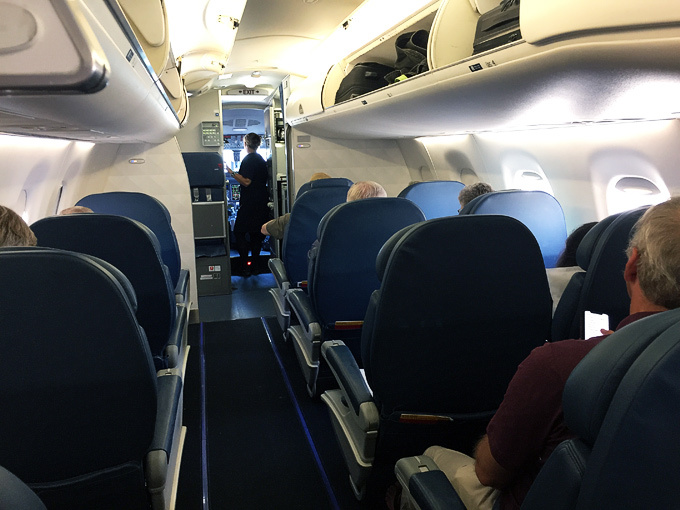 There were 20 Delta Comfort + seats aboard this flight. 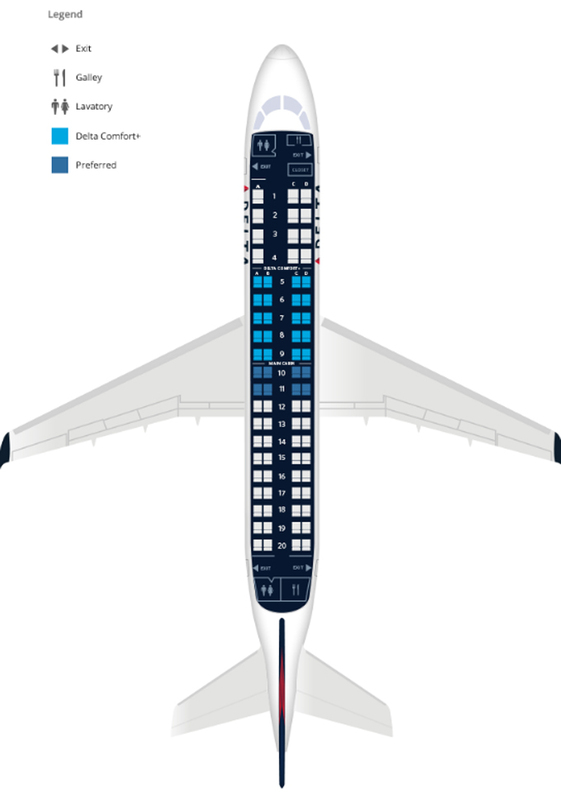 Some of the perks of Delta Comfort + include 3″ more legroom than the seats in the Main Cabin as well as a dedicated overhead bin space. I had “unlimited” legroom so to speak because I was seated in Seat 5B which is the start of the Delta Comfort + section. There are just single First Class seats on the left of the plane so I end up with no one directly in front of me. All in all, we had a great flight with Delta Air Lines from Vancouver to Seattle. The flight time was short so we were descending quite soon after we reached cruising altitude. The Delta Comfort + seating enhanced the experience. I would definitely recommend this DL 4821 from YVR to SEA.